On Thursday, December 1st, Edison Farrow will re-launch his famous martini parties. The first event will be a special Art event during Art Basel week, featuring Birdcage series by acclaimed artist Havi Schanz. Made with Vodka, Apple Cider Simple and a Lemon Garnish. Commonwealth Miami is the newest concept to hit South Beach. A place offering new American fare alongside a wide assortment of national and local craft beers. A farm-to-table menu artfully crafted by premier rising chef, Chef Daniel Roy. An abundance of flavors that pair nicely with our rare selections of whiskeys, scotches and bourbons from around the world. They pride themselves on being a local's based restaurant and bar for all of you. Our unique design elements give Commonwealth a warm and rustic feel that is inviting for all. Stop by for a great priced and delicious meal or come in late night and enjoy a pint under the amber glow. Havi Schanz a Miami-based Argentine visual artist, architect, interior & graphic designer, portrays "Souls" on blueprints at The Carlyle Hotel, a famous setting for photo shoots, TV programs, and Hollywood films. 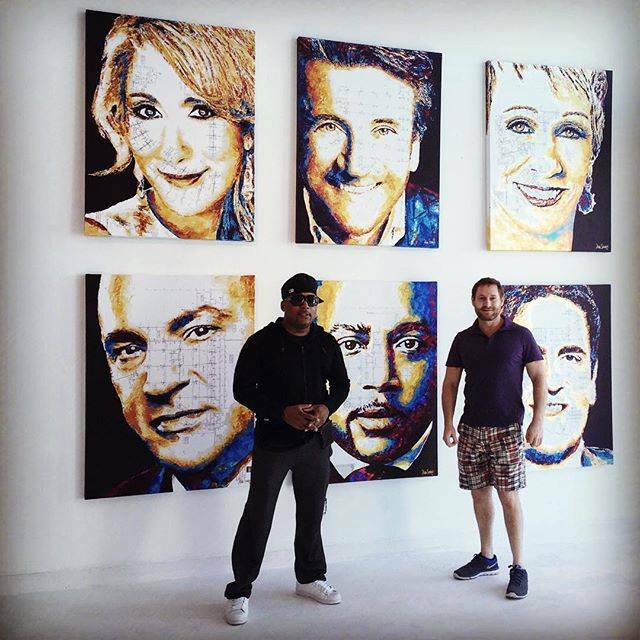 "sometimes i feel i can’t do a show, i don’t have the energy i don’t have the strength"
On October 12th, Daymond John, from ABC TV Show: Shark Tank, visited Havi at his Portofino Gallery , in Miami Beach. After a few minutes upon his arrival he reached Havi's Shark Tank, he was impressed and flattered. Also took a moment to take few selfies with Havi and tweeted a video.